Do swim aids, like a puddle jumper or floaties, help or hinder your child’s ability to learn to swim? This is a question that raises much debate among those learning to swim and among mom’s themselves! Here’s how I see it: if your child loves the water right off the bat and learns to swim without ever using a swim aid, then why use it? 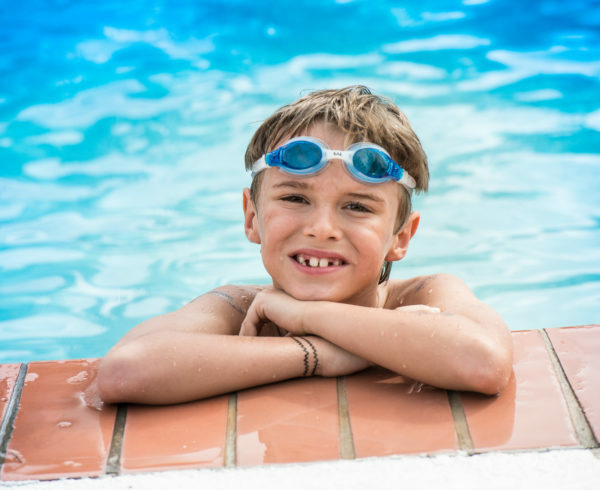 But if you have a child that is uneasy around the water and clings to you in the pool, then definitely consider using a swim aid for a short period of time just to get them comfortable in the water. 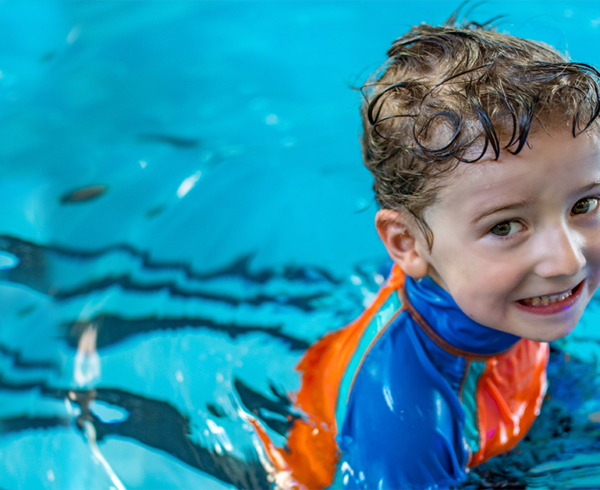 Swim aids can help build a child’s confidence and give them a bit of independence in the water so they are not constantly hanging onto your neck. However, what must always be remembered when your weak or non-swimmer is in the water, you should be within an arm’s reach of your child at all times, even if they are wearing a swim aid. Below I’ve listed the most common types of swim aids with the pros and cons of each, along with my personal recommendations. Check it out! 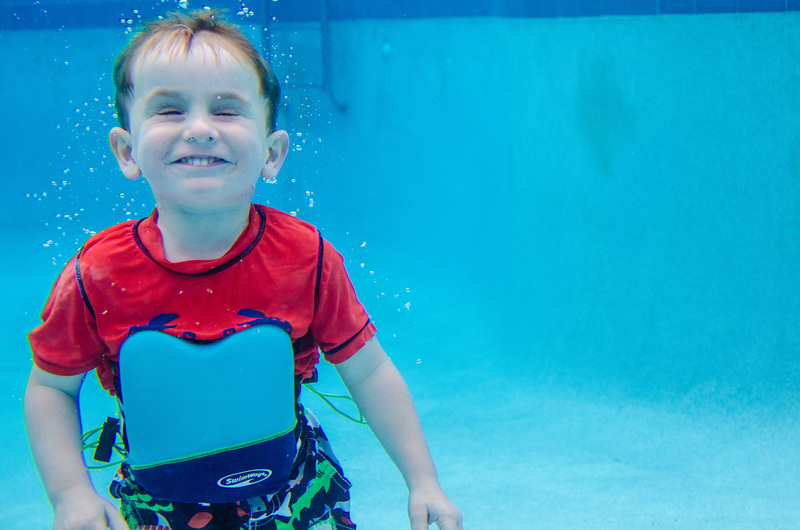 Puddle Jumpers & Arm Floaties – The buoyancy of these devices keeps your child’s head out of the water and their shoulders nice and high with their feet below them, holding them in a vertical position. While both of these swim aids have flotation pieces on the arms, the puddle jumper has the additional piece across the chest. Pros: Because they are high out of the water and in the normal standing position, it allows them to acclimatize easier and explore a bit. Cons: It is limited because it doesn’t encourage your child to get their face close to the water. Also, the vertical position isn’t the best because it causes your child to learn to swim in an improper position. With their feet below them, they will tend to jog in the water rather than in the swim position — face close to the water, tummy up and feet out behind, kicking with the legs behind and straight. Be careful not to use this as a crutch and realize that it is limited in its capacity. One day they will have to learn the proper swim position. Pro-Tip: As they get used to the water, eventually encourage them onto their tummy with your hand. Their legs will rise behind them which gets them used to being in the swim position. Once they are horizontal, tell them, “Kick, kick, kick, kick!” Before you know it, they will graduate from their swim aids! Power Swimr– This is a confidence booster disguised as a flotation device! It has 9 removable buoyancy layers that adjust to give your child the amount of support they need as they learn to swim. Once the final layer is removed they are swimming! Pro: It promotes proper technique because the flotation is on the back rather than the front. Because your child is developing proper muscle memory from the start, they learn to swim easier and faster. And, because of the graduated layering system, it skips the whole “leap of faith” step that kids using other devices have to take, which is often the scariest part for them. Con: This is not meant for children to use independently. You or their instructor will have to give them a hand. It is meant to hold the child’s body out of the water, but not their face, so they will need some support from you. Pro-Tip: Have your little swimmer pair it with the barbell and kick around to practice their swim technique. Lifejacket or PFD – Everyone is familiar with these. 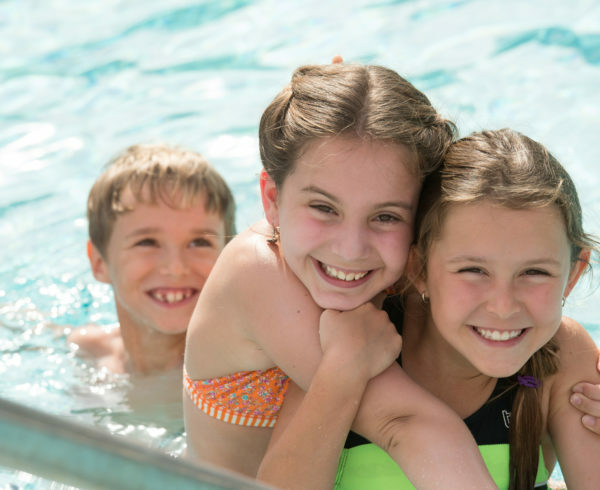 It can’t be beat for safety but can be limiting as a tool for teaching someone to swim. Pros: Using a lifejacket or PFD familiarizes a child with how they will float in these devices. That way, if they end up in the water with one on, they will realize that what is happening is totally normal, even if it feels different than what they are used to. Cons: Kids are not known for having a high tolerance level when they feel awkward or uncomfortable! Sizing of these can be a challenge – they can easily be too big, too small, too constricting, they ride up – not to mention the lack of mobility in the arms and neck. Pro-Tip: Switch the angle of buoyancy so your child can kick from behind which will give them a greater sense of control when wearing it. There you have it. I hope this helps you when you are figuring out the best fit for your little swimmer-in-training! What swim aids are your favourite to with your children? Share your answer with me in the comments below.